يقع فندق Silky Oaks Lodge Hotel، المصمم ليناسب كل الضيوف سواء كانوا من رجال الأعمال أو السياح، في مكان ممتاز في أحد أكثر المناطق تفضيلاً في موسمان. يقع مركز المدينة على بعد 7. Km فقط. ويمكن الوصول إلى المطار خلال 115 دقيقة. بالنسبة لمن يريد الخروج، هذه بعض المعالم السياحية المتوفرة للزوار Mossman Saturday Market. استمتع بالخدمات الراقية والضيافة التي لا مثيل لها بهذا الفندق في بورت دوجلاس. تتضمن الميزات الرئيسية في هذا الفندق: مكتب الاستقبال على مدار الساعة, مرافق مخصصة لذوي الاحتياجات الخاصة, تسجيل وصول/خروج سريع, تخزين الأمتعة, واي فاي في المناطق العامة. في Silky Oaks Lodge Hotel غرف نوم يزيد عددها عن 45 صممت بذوق وعناية لتوفر لك كل وسائل الراحة . بعضها يحتوي أضاً على تلفزيون بشاشة مسطحة, اتصال لاسلكي بالإنترنت, حوض الاسترخاء, غرف لغير المدخنين, مكيف هواء. كما أن مجموعة الخدمات الواسعة الموجودة في الفندق لضمان راحتك تترك لك الكثير من الخيارات لقضاء وقتك أثناء فترة إقامتك. اكتشف مزيجاً ساحراً من الخدمة الاحترافية والخيارات الواسعة من وسائل الراحة والمتعة في Silky Oaks Lodge Hotel. We loved the place. It was so peaceful. 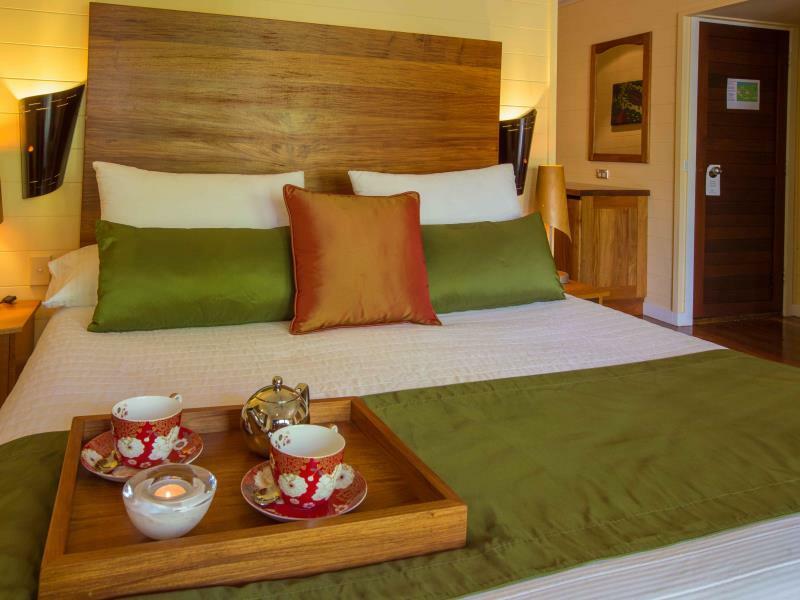 Apart from very pricy spa and meals, It is a great place to stay for a couple of nights. We felt so pampered! What a lovely experience! Great experience staying in rain forest. Be aware that no wi-fi and no TV in the room. Staff seemed genuine and weren't intrusive. No screaming kids and plenty of space - you felt like the only guests at times. Relaxed atmosphere and great facilities. 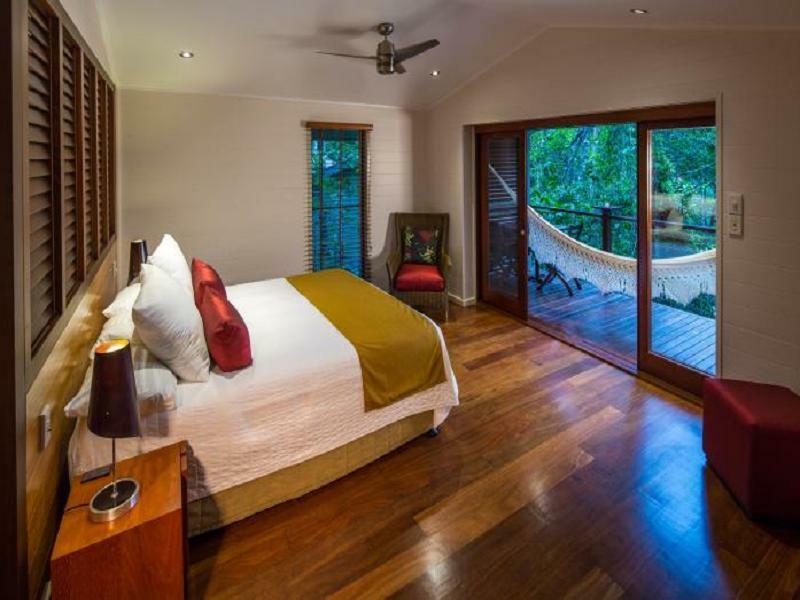 Room was great - private, quiet and hammock on the veranda. Beautiful welcome drink, wine, flowers and snack - loved the attention to detail. Only criticism was that during the week the cups and plates were often not washed or changed in the room but otherwise everything was clean. Absolutely magical location with a staff that pays such attention to detail. 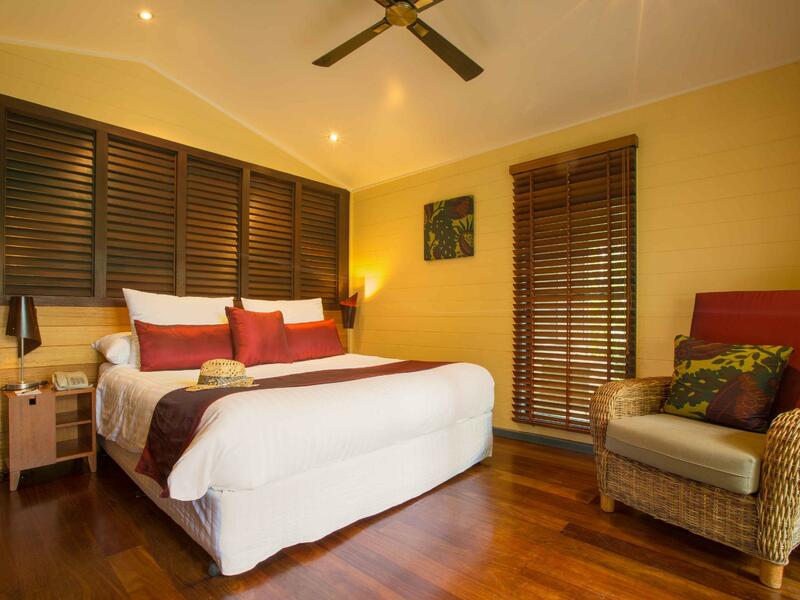 The rooms are gorgeous and the perfect size for two. Lovely balcony - go for a riverfront room and you will be pleased. Breakfast was complimentary and fresh with plenty of choice. Enjoyed the other meals as well. Towels for the pool, a tennis court, gym, and sitting room. Impeccable cleanliness. Can't say anything negative about it. 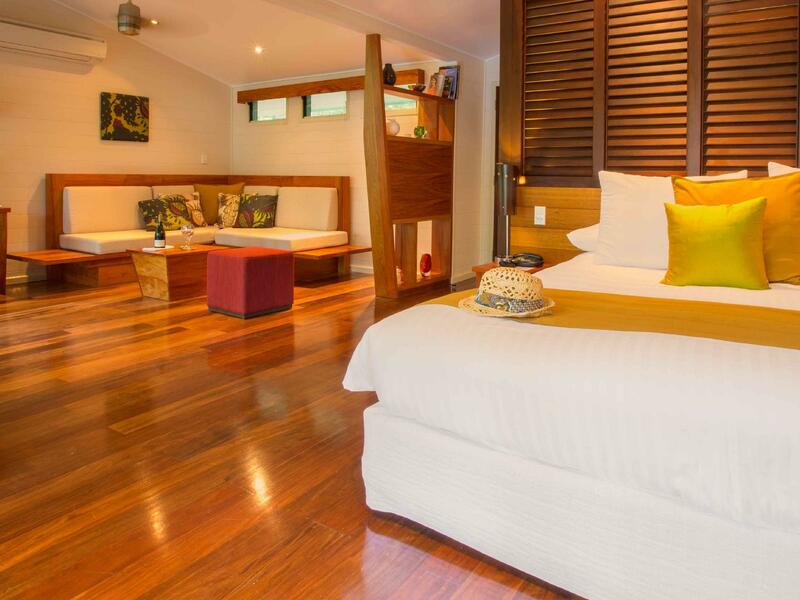 Friendly professional staff, superb food and a haven in the rain forest. In middle of rainforest. 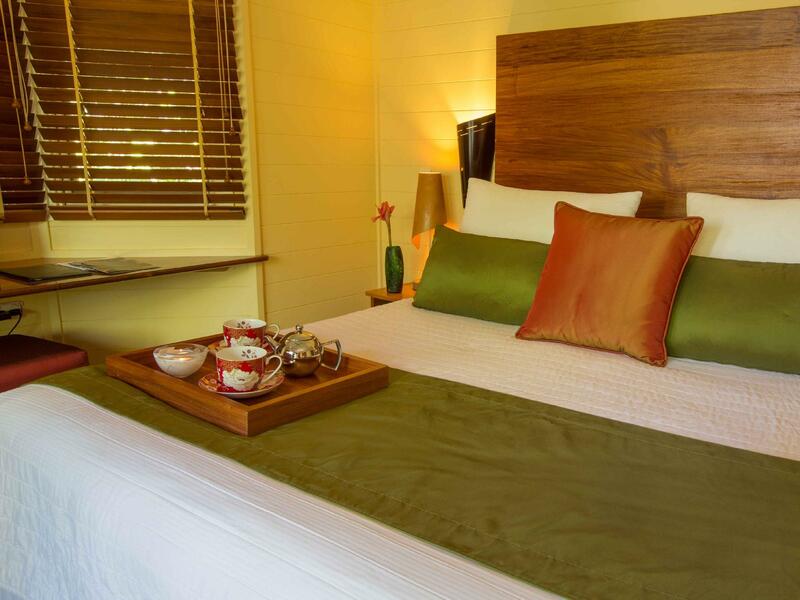 Lovely rooms with all comforts and very helpful, easy going staff. This is exceptional and we are truly delighted to have spent Christmas here. The staff are fantastic and go out of their way to help at all times, the location is out of the way but was just what we wanted and the food was delicious. We cannot recommend this enough! Very relaxing with good service and stunning surrounding. My wife and I celebrated our 25th Anniversery, and they treated us amazing! The accommodations were incredible, and completely private, while still be close to all the amenities. The food was fantastic, and gave us a special evening for our Anniversery. Breathe taking location! The service from the staff in the restaurant was a bit slow. Enjoyed our stay very much and, even though the room was lovely, I felt the price could have been a bit more affordable. Also remember you're in the rainforest - don't forget the aerogard! The meals in the restaurant was absolutely supurb and I liked the fact that the menu changed every night. We stayed four nights. Room is quite good, and well serviced. Restaurant was excellent. Staff was very kind and efficient. The walk from the central building to our cottage is a bit too dark at night (considering we are in the rainforest). Location is somewhat isolated, but near enough to Pt.Douglas which is the center of action for the Great Barrier Reef. Overall we were quite happy of our choice. 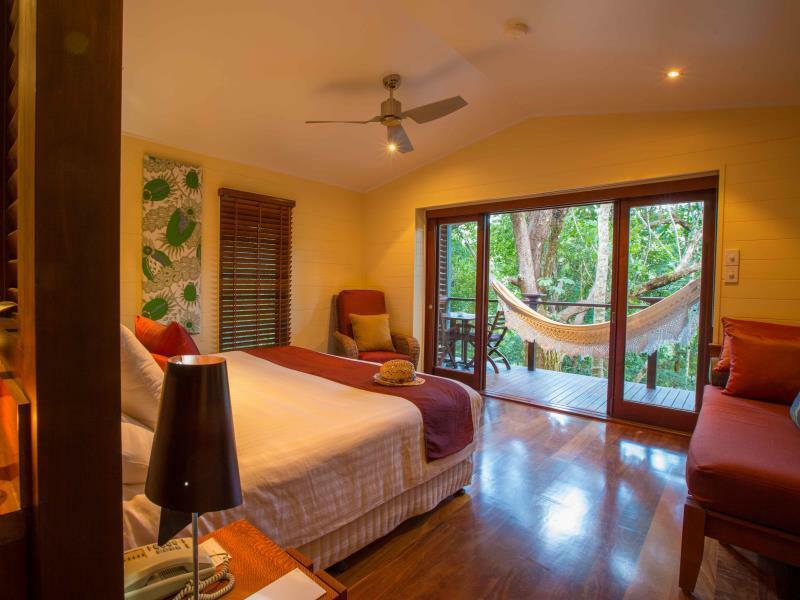 The Treehouse was stunning, there was a huge double jacuzzi bath, a balconey with fantastic views of the Rainforest. The Restaurant had lovely views over the Daintree River. The staff were fantastic, very friendly and the service brilliant. This resort could do with alternative choice of food, not everyone wants A Le Carte every night, snack food would always go down well with people. We stayed in a Treehouse with views over the Rainforest, this was absolutely wonderful, it was pieceful sitting on the balconey listening to the birds. We went on one of the walking trails in the Rainforest, they are very well marked out and very enjoyable. We also went on the Daintree Experience, this trip is well worth the money, it has a guide that is very informative throughout the whole trip which also included a bar-b-que in the Rainforest, a trip to Cape Tribulation and a boat trip along the Daintree River looking for Crocodiles, a really enjoyable day. Für ein Hotel dieser Preisklasse (enttäuschend. Gym wurde seit Wochen nicht gereinigt. Pool war voller Blätter. Es un hotel muy bonito en plena naturaleza. Los lodges están muy bien equipado. Principalmente es un lugar muy bueno para descansar y relajarse. Desde allí se puede realizar muchas visitas y excursiones. La única pega es que está lejos de cualquier tipo de restaurante, lo que por otra parte permite que sea un lugar tranquilo integrado 100% en la naturaleza. El personal del hotel es muy amable y facilita todo lo posible cualquier gestión que se desee hacer.